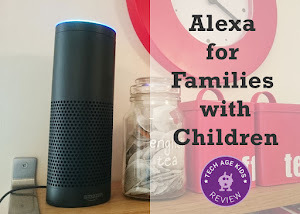 We are really excited about all the cool tech currently developed for kids in the UK. Last week we caught up with Seb Potter from Made By Many who gave us a special demo of their new gadget - Hackaball. 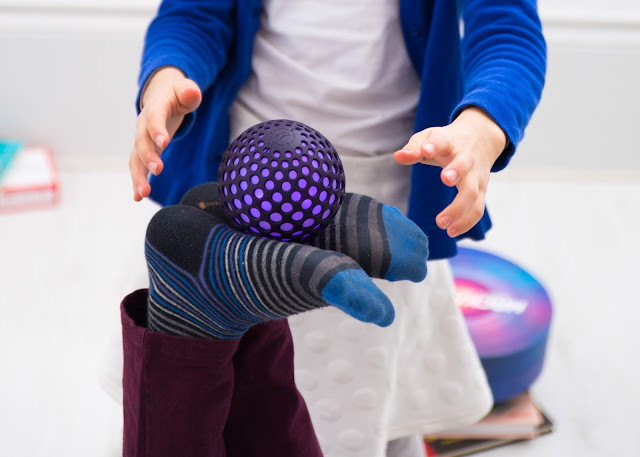 Hackaball is a smart and responsive ball that lets kids invent and play games. 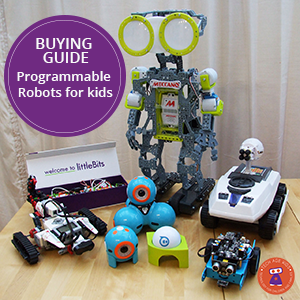 We really like toys that let kids get creative with tech. They successfully funded their project on Kickstarter last year and will be delivering backers' products in March this year. If you missed the Crowdfunded Campaign, you can pre-order Hackaball here. Hackaball brings tech and the physical world together. 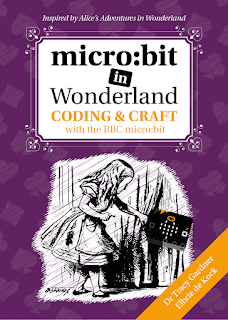 Aimed at kids aged 5 and up, it is versatile enough to be a tech toy for outdoor play and a ball you can literally hack. By hack we mean, you can take the ball apart to reveal a disk-shaped inner "brain" which can be used to create your own new creations. We really like this feature of Hackaball. Kids can code their own games and take it outside to play with friends. The introduction video below gives you a flavour of Hackaball's creative play. Thank you to Seb and the Hackaball team for answering some questions about Hackaball, Kid Tech in the UK and their personal childhood tech experiences. How does the tech work in Hackaball? 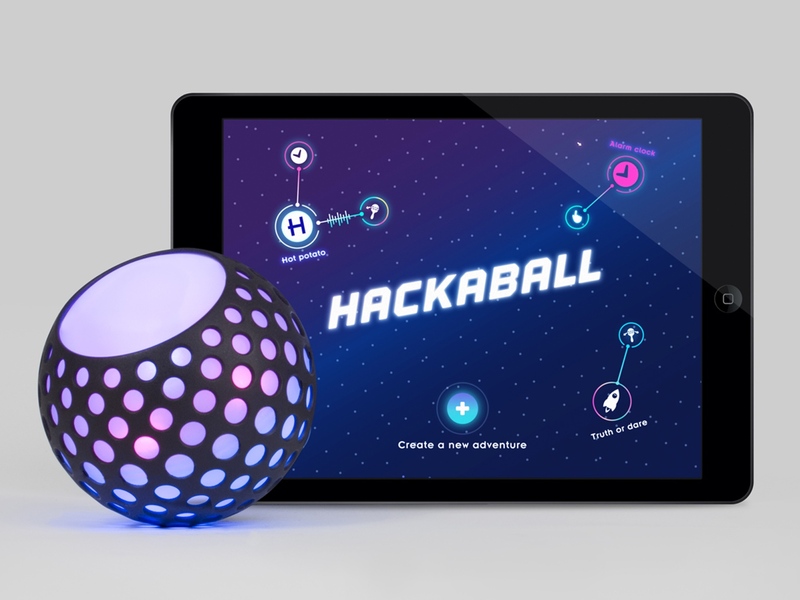 Hackaball is built using a custom circuit board with eight super-bright LEDs, a speaker, a powerful vibration motor, motion sensor, and a bluetooth module all controlled by an ARM Cortex M0 processor. We've written firmware for the electronics that turns the motion sensor data into a set of actions that everyone will recognise playing with a ball, and a simple rule-based system that allows you to control the LEDs, sound and vibration in response to those motions. The app connects to the ball via Bluetooth LE to upload games that you've created to the ball, and also for the app to show what the ball is doing whilst it's being played with. Why is so much cool kid tech happening in the UK? 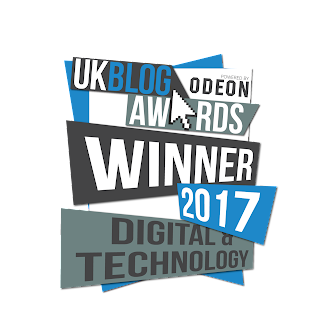 The UK has a long-standing tradition of innovation in digital technology that stretches back at least to the early 1980s and innovations like the BBC Micro and the ZX Spectrum. We believe that much of the exploding tech scene in the UK is the result of a whole generation of makers and inventors who grew up learning to make things, to experiment, and to learn from the results, and who now want to inspire the next generation to do the same. What technology do the Hackaball inventors remember from their childhoods? Seb is a child of the 80s, so the big defining technology for him was seeing the first consumer computing in toys like Big Trak (a programmable electric vehicle), and his first computer which was the ZX Spectrum. There's a huge skills challenge in technology that has arisen in no small part because of technology education that teaches kids how to use software rather than how to create it. We live in an increasingly-connected world in which the ability to think creatively and solve problems with technology will be one of the defining skill-sets for the industries of the next few decades. 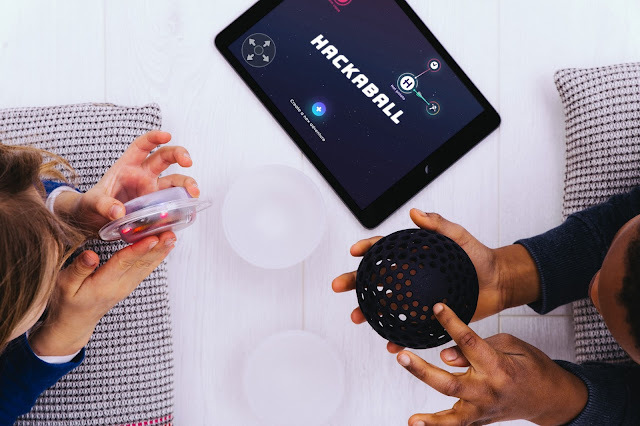 We want Hackaball to be the start of a movement to make smart, fun toys that teach kids that technology is a tool for shaping the world in ways that we might not even be able to imagine yet. During our special demo, Hackaball CEO, Seb Potter, shared some exciting developments to look forward to. They are working on the charging capability of the ball to last upto 6 hrs, with only 30 min charging time required. This will be very useful for schools. Hackaball is excited to get kids coding, and will make their communication protocols open source to inspire kids to REALLY hack the ball. Currently Hackaball only works with iPad or iPhone devices, but an Andriod app in on its way. Hackaball is perfect for outdoor play, "the ball is designed to bounce" says Seb from Made By Many. Getting kids off tablets and active will be at the top of most parents’ agenda, and Hackaball seems to tick that box. We think Hackaball will make a fantastic family toy, for tech-loving families, with the potential of future development and hacking fun. Hackaball will retail at $85 | £75. We wish Hackaball every success and look forward to have our own hands-on-review. Subscribe to Tech Age Kids, so not to miss future posts about Hackaball. Hackaball Ltd has been founded by Made by Many and MAP Project Office as a product-focused startup to take the Hackaball product to market and continue its development. It is privately owned and independent from Made by Many and MAP Project Office. Made by Many is an innovation consultancy that works with leading global brands to build digital ventures that transform markets. The company combines strategy, design and engineering skills to identify opportunities and rapidly design, launch and scale new product ideas. Since 2007 Made by Many has put digital at the heart of business at Burberry, Universal Music Group, ITV, Adidas, Skype, World Economic Forum, Finnair, the V&A Museum and the BBC. Source: The PR Network; Interview with Seb Potter (CEO of Hackaball).